You've budgeted every penny this month, to make sure you've got cash for all the presents you need to buy, and parties you're going to. There's not a penny left in your purse unaccounted for - and then your moisturiser runs out. It's always at the most inconvenient time, when the option of buying your usual more expensive moisturiser just isn't an option - even your advantage card points can't save you. So, here are my tips for stop-gap skincare which will tide you over into the New Year - who knows, you may just find one that you stick with for a while. 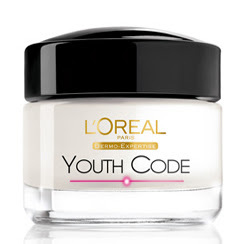 My top pick is L'Oreal Youth Code Anti - Wrinkle Day Cream. The texture is lovely - quite thick, but it's not a heavy or greasy cream, meaning it's perfect for all but the very dry skin. It sinks in nicely, giving a good base for make-up. My only concern is that I'm pretty sure there's no SPF* in there, but as long as you're getting this from something else, like your foundation perhaps, then you're covered. This is a good option for anyone approaching or over 30, who is looking for an anti-ageing product. I've tried the eye cream too and love it - I haven't tried the serum yet (but hello Santa, I would like to) and there is a separate night cream, although you can use the Day Cream day and night. The whole range is currently 1/3 off at Boots and Superdrug, making the Day Cream and Eye Cream just over £10 each. 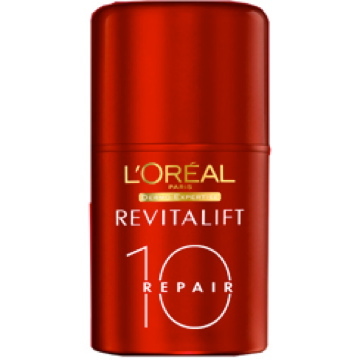 Another moisturiser in the anti-ageing category, if you're around the 30 mark, is L'Oreal's Revitalift Repair 10. And the bonus here is that this one has SPF20. It's slightly heavier than Youth Code (and has a stronger smell, it's quite perfumed) but if your skin verges on the dry side, then this could be the cream for you. 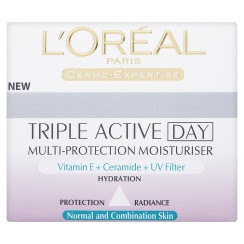 If you're in your twenties, and not yet concerned about anti-ageing, then this Triple Active Day Cream from L'Oreal is ideal for you, which is full of anti-oxidants. This cream will combat the effects of UV rays, stress, free radicals and pollution. It is a UV filter, but I can't find out the SPF, so make sure you're getting sun protection from your foundation or powder. This is on offer at the moment, at just over £5. 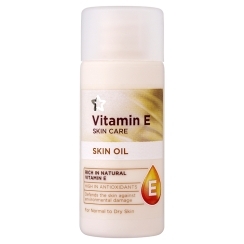 Then as a treatment, I use Superdrug's Vitamin E Skin Oil - it is £1 off at the moment, down to £1.99. You can use it morning or night, but I use mine at night, instead of a night cream. 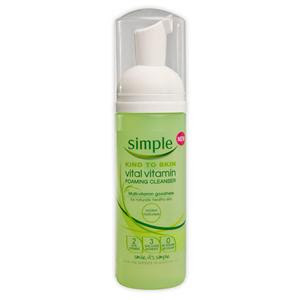 It has a very light texture, and doesn't feel heavy on the skin. I have combination skin this suits my skin well, even though the packaging recommends this product for normal to dry skin. 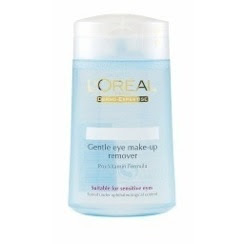 I love this Eye Make-Up Remover - it gets every trace of mascara off (although I don't use waterproof mascara - if you do, you might have to find something more industrial). It's always cheap, and you can normally find it in the supermaket too, for about £2.75. I've just discovered this Simple Vital Vitamin Foaming Cleanser, around £4 from all the usual suspects. I love cleansers which come out like a mousse, and was surprised to find this one was so cheap, and yet so effective. I normally use these foaming cleansers by Vichy and Caudalie, but this one has really won me over. With all the above products, you can find them in Boots and Superdrug, but also most large supermarkets, and they always seem to be on some sort of offer, so shop around to see what's the best deal. And are you thinking of saving all those Clubcard and Nectar points for your Christmas food shopping? Pah! Don't be ridiculous - moisturiser, serum and cleanser is a far better use of your hard-earned points. * For those of you who think an SPF isn't important in winter... you couldn't be more wrong. In winter, UVB rays (which cause burning) are weaker, so obviously you won't get sunburnt, but UVA rays (which cause ageing) are as strong as ever, and this is what you need to protect yourselves from with a good SPF. Here endeth the lesson.